As a retailer, you’d prefer not to see your competitors undercut your prices. But at the same time, you want to avoid a race to the bottom at all costs. 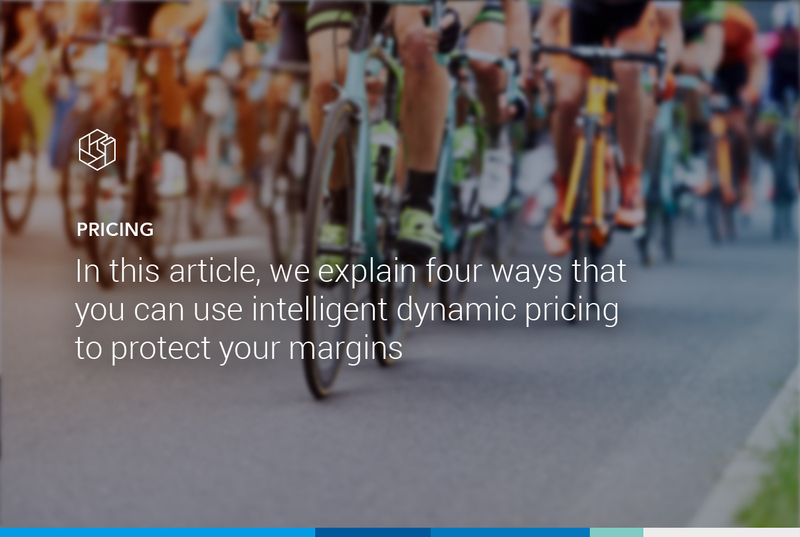 In this article, we explain four ways that you can use intelligent dynamic pricing to protect your margins. More and more retailers are using intelligent dynamic pricing solutions to ensure that their prices are never undercut by competitors. This often prompts retailers to worry: if all companies start using dynamic pricing software, won’t this cause a race to the bottom, driving prices down so far that our margins will completely evaporate? On the contrary, this can be avoided, provided that you use an intelligent dynamic pricing solution. Unlike simple dynamic pricing, this intelligent software doesn’t simply follow the lowest price in the market. It also takes account of your commercial strategy and company-specific variables (such as buying prices and stock levels). So for the purposes of your commercial strategy, it’s important to bear in mind that consumers don’t only look at prices. For instance, if you’re a retailer who offers fast delivery and payment after delivery, the consumer will be more willing to pay a premium price. 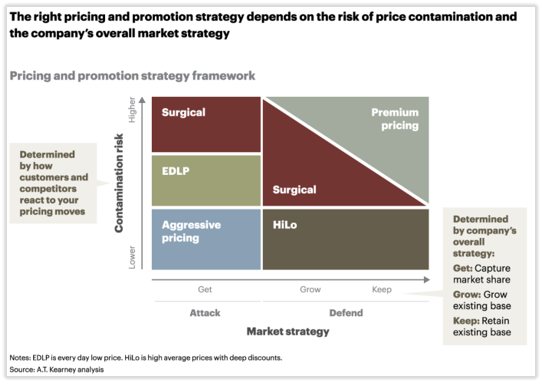 Your market position within the product category also plays a role: if you’re the market leader or a niche retailer, you have more scope to charge premium prices. You can implement this kind of pricing strategy effectively if you use software for dynamic pricing. 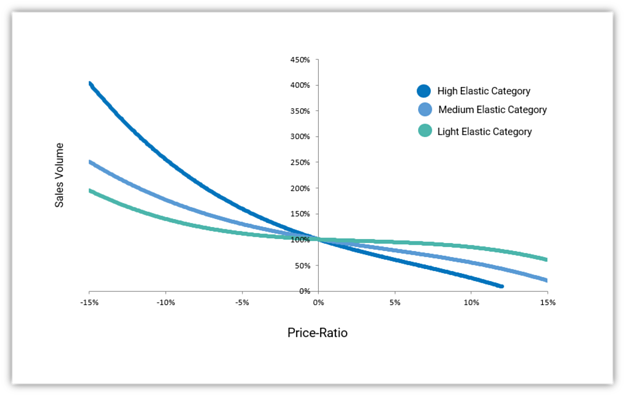 Price elasticity is the extent to which demand for a product changes as its price rises or falls. For instance, a TV may be highly elastic, but a TV wall mount is not. When it comes to this kind of upselling product, consumers don’t generally compare prices. The same applies to articles that are relatively cheap anyway. 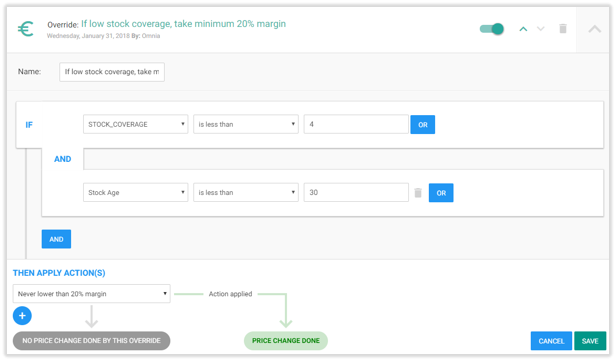 This reduces the need to follow the lowest price in the market and enables you to widen your margin. Many retailers currently adopt a reactive pricing strategy, reducing prices significantly once stock becomes unsellable. Dynamic pricing allows you to make stock levels a factor in determining the optimum price, so that you can optimise demand and supply. Is your stock at risk of becoming unsellable? Then cut the price to secure the lowest price position on Google Shopping, so that the product will start selling again. 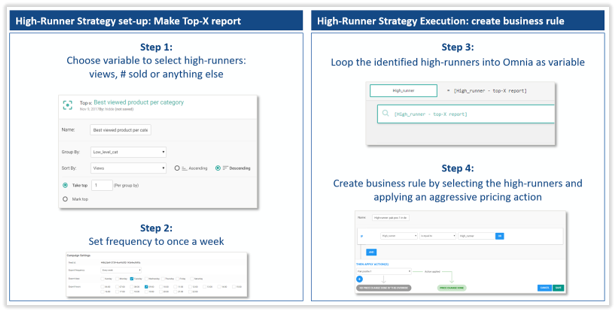 The high-runner strategy is a clever strategy that has been used to great success by Amazon. It offers its biggest discounts on its most popular products, while making profits on less popular ones. Consistently low prices on the highest viewed and best-selling items drives a perception among customers that you have the best prices, taking advantage of the psychology of price perception. Another advantage is that you attract a lot of customers to your website because of these popular and competitively priced products, which provides the opportunity to cross or up sell other products with better profit margins. Intelligent dynamic pricing software makes it easy for you to configure the variables for determining your high runners, for instance the number of views or number of products sold. The algorithm of Omnia Retail’s Dynamic Pricing module determines your optimum prices based for instance on price elasticity, variables in your own system and competitor pricing data from Pricewatch. It then makes automatic adjustments. The flexible pricing business rules enable you to implement any pricing strategy that you want. Want to find out more? Ask for a demo and try Omnia for two weeks free of charge.